Shoelaces are a very simple accessory, however if well-made it can really become a finishing touch to sublimate your pair of fine leather shoes. Many of our customers were seeking to offer a second life to their beloved shoes, at Medallion our trained staff will be able to offer shoe cleaning and shoe shining services and now to change your old laces for a new pair meticulously manufactured in Milan. Thus, we are very glad to welcome the Italian shoe laces company. 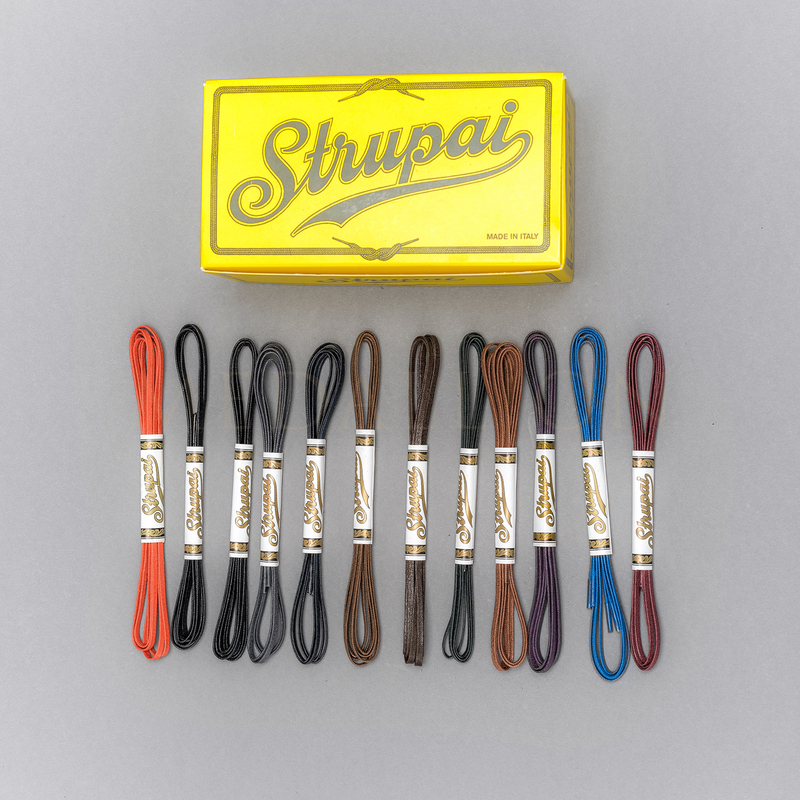 Strupai’s range of products is large enough for you to choose from round or flat, in a wide palette of dozens of different colours and lengths. 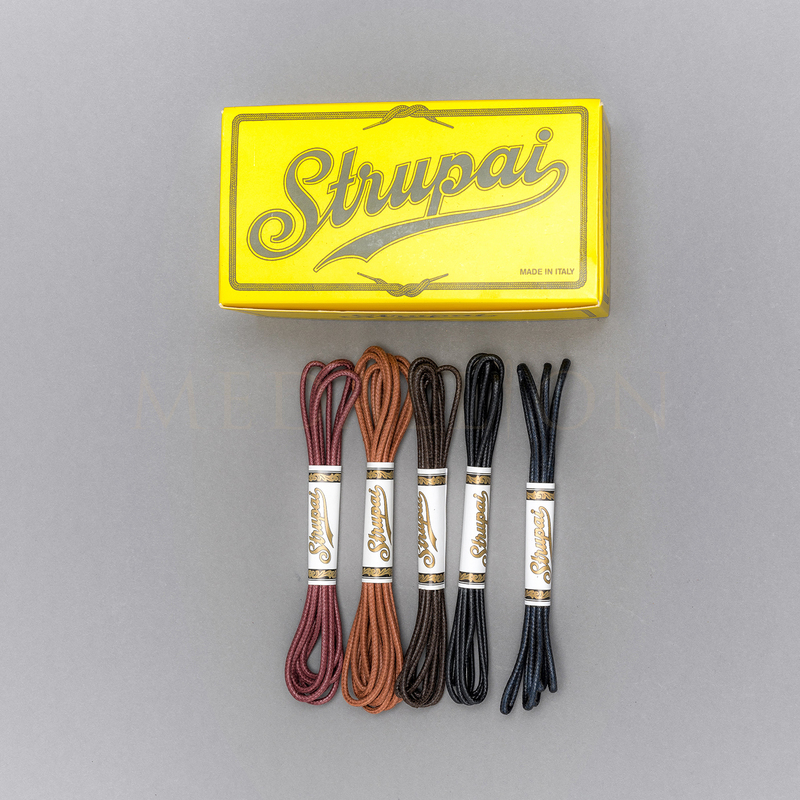 Medallion has carefully sorted out a selection of Strupai waxed laces for 5 eyelet shoes, more appropriate for formal footwear than unwaxed laces. In total, can be found 14 different styles and colours. The flat waxed Laces comes in flamboyant Orange, Electric Blue, Purple, Burgundy, Racing Green, Navy Blue, Grey, Tan Brown, Mid Brown with a 75 cm length, the more classic Dark Brown and Black are available in 85 cm length. Both featuring a 2 mm width. 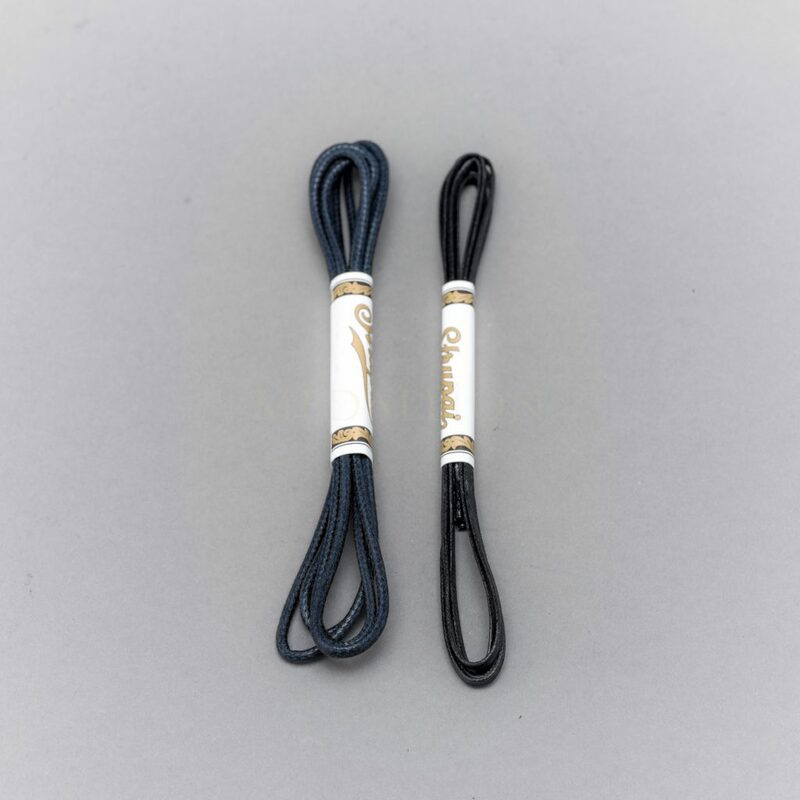 Medallion also offers round waxed laces in Navy, Burgundy, Black and Dark Brown. Each pair of waxed shoelaces present a natural lustre, the particular texture of the tight knit resembles to the one of a reptilian’s scales. Made out of high quality materials such as natural fibres of pure cotton, the laces are manufacture using the best artisanal techniques such as yarn-dyeing and waxing processes in to the respect of long-standing traditions, while complying to contemporary environmental concerns. 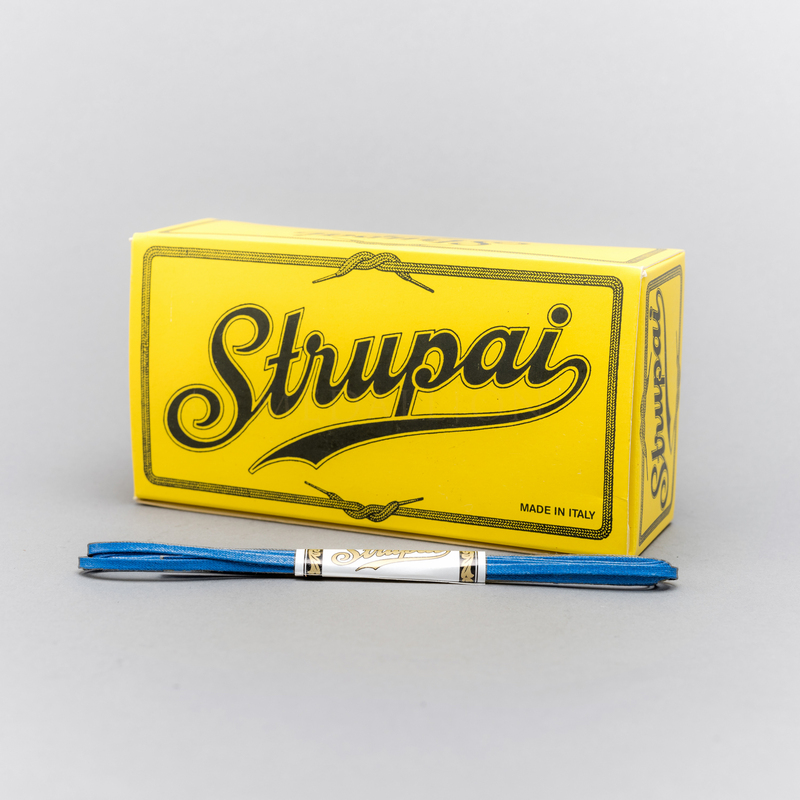 The yellow cardboard laces box with Strupai retro font feels like a legacy from an older time, witness of Strupai’s heritage and decades of experience.The result are laces with the mark of excellence, and it is not surprinsingly that Italian Bespoke shoemakers like Stephano Bremer have set their heart on Strupai for providing them with Bespoke shoes laces.